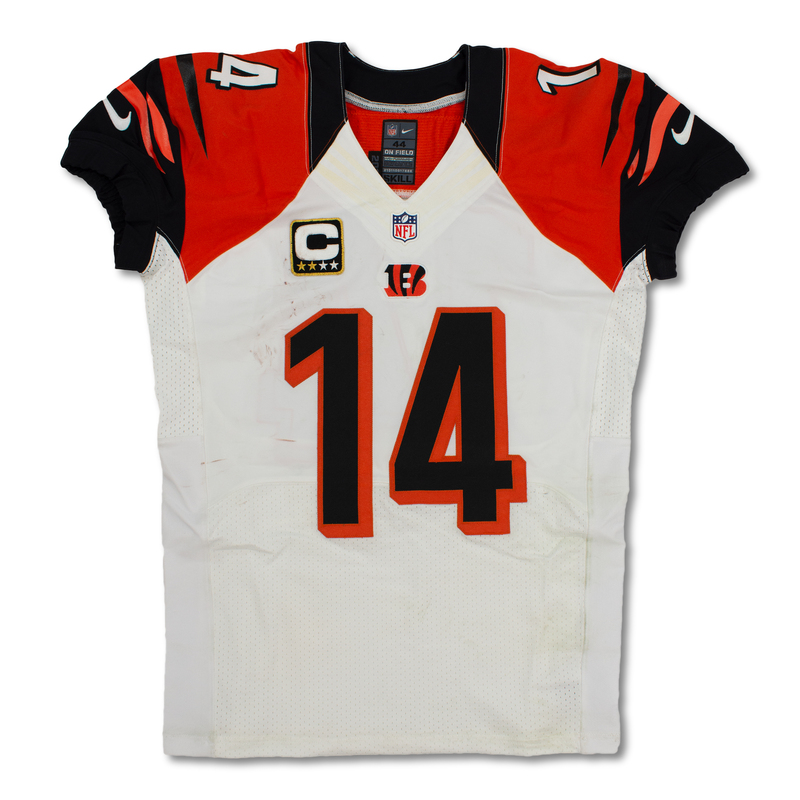 This Cincinnati Bengals road jersey was worn quarterback Andy Dalton during the 2013 NFL Season. 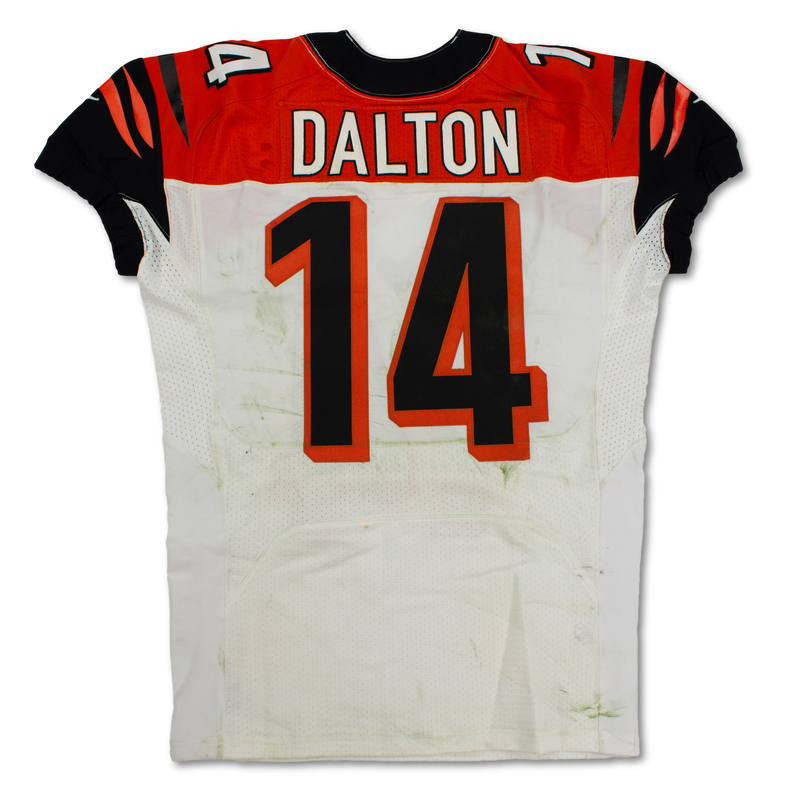 The jersey photo matches to a contest versus the Pittsburgh Steelers on December 15, 2013 where Dalton threw for 230 passing yards and 2 touchdowns. The unwashed garment shows great game used with ball marks on the front and large grass stains on the rear. This size 44 Nike garment is tagged "2013", "SKILL" indicating the year of manufacturing and the cut of the jersey. 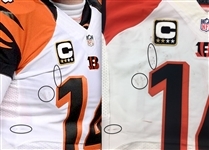 The jersey features a gold trimmed 2-star captain's "C" patch and has the Bengals pro shop tag attached that reads "12/15/13", "Pittsburgh Steelers". The jersey is accompanied by a photo match letter of authenticity from Real Game Used (RGU).